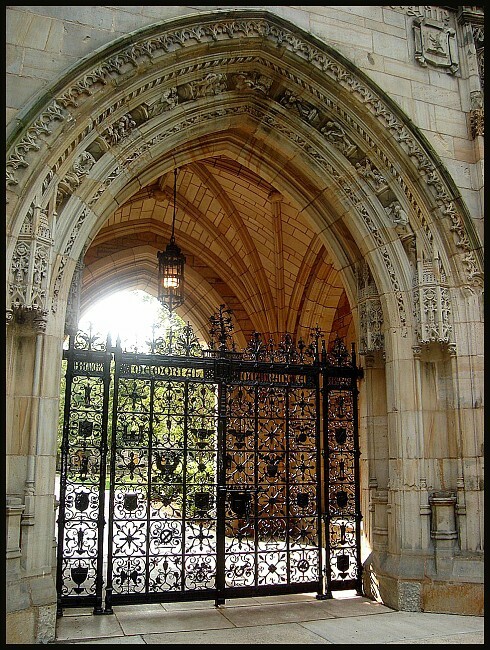 Faltering Allegiances: Or; Why Are So Many Elite Schools in the Hood? Should the problematic relationship many elite schools have with their host communities tell us about the nature of the work done within those schools? As an undergraduate, I had a changing conversation with a good friend of mine during her last semester at our university. She was approaching burnout as she attempted to squeeze in extra classes, visit every seminar and lecture she could, and still make time to hang out with friends before they all went their separate ways. She knew internally, she articulated during our conversation, that the tools available to her at our school would be scarce once she was no longer a student there. Our institution hoarded resources, to the degree that those who could access them were often overwhelmed by the amount of information and opportunity at their fingertips. As a soon-to-be-graduate, my friend sensed this imbalance, and knew she only had a limited amount of time before she was again locked out of the university’s collected resources, returned to the larger, barred population. The stress she was feeling was the stress of a competitive and inequitable system of learning, one which over-privileged a few with the rights to knowledge, while denying the majority of people in its vicinity those same rights. There are countless and complex reasons why so many elite private schools rise up in the midst of poor, brown neighborhoods: Many of these schools have existed for well over a century, and have drawn to themselves the populations they require to perform the cooking, cleaning, grounds and service jobs which keep their institutions humming; Every year private schools oversee incomprehensible sums of money from tuition, grants, investments and donations, and generate revenues which are never seen by the local communities which house them; Being adjacent to easily-displaced populations is convenient when the time comes to expand the business of higher learning (How many homes of poor people have been destroyed to make room for new facilities and dorms? ); And if the surrounding neighborhoods become too unsavory, there is always an ample workforce available to take on low-paying security positions, protecting the school from the very communities from which it hires. The university I visited this past week is even known for “stabilizing” its location in the city–contracting businesses and companies to open branches in the blocks closest to the campus, which can provide recreation for students, and discourage less desirable populations from hanging around. All these tactics should tell us one thing: It is the business of elitist education to make resources plentiful for those to whom it grants entrance, and scarce for those who can’t make the cut. It derives its power from imbalance, in precise imitation of the economic orders it supports, and therefore makes perfect sense that it should thrive when the communities in proximity, those whose livelihoods are most closely linked to its own, are struggling. None of these are new observations, but I think they raise important questions for historically oppressed and politically radical people. During my visit this past week I found myself asking, regardless of what I am being told or shown by administrators and professors, can I expect to engage in the kind of political thought and action I care most about within an institution like this one? Do I expect to learn justice and empowerment within a space which actively disadvantages and mistreats my own people? These kinds of questions I believe are pertinent, not just for future educators, but for all oppressed people considering any kind of relationship with the academy. Acknowledging the wise and dedicated faculty that do sometimes work with these schools, why do we look to elite private institutions to provide us the training and knowledge we need to be effective advocates for radical change? Might it be our own communities, the ones both dependent on and targeted by these elitist institutions, which can teach us the most about the role of imbalance and injustice in our current order, and where struggles to combat them might begin in earnest? Your last paragraph leaves me with a smile because a similar realization recently struck me. I am in the process of transitioning from litigation attorney to some type of ‘higher education’ work, and found that 22 years of formal education does not qualify me for most teaching or instructional positions. The closest I am likely to come to higher ed is in connection with either legal work or what passes for “diversity” efforts. On a more ethereal plane, my diversity (and life) philosophy is summarized in words heard during certain ceremonies and discussions: “All my relations.” This statement expresses a personal realization that one’s relationships include physical descent and progeny, sociocultural interactions, relationships with and between one’s physical body and all other manifestations of physical substance, and whatever ‘knowledge’ one has or seeks to acquire. The boundaries these words suggest is the concept of the Null, that which cannot be because Null is an erasure of every thing, including the thinking of it. As a final matter, realization of the full breadth of one’s relationships involves acknowledgment that exclusion of “others” damages oneself more than “them”. I “know better” than to present such a radical philosopy but I am tired of the same nonsense being carried out/perpetrated — true ‘diversity’ will never result from “the same ole, same ole”. Thank you for sharing your thoughts and reactions. I appreciate your “ask and proceed from there” approach, and your noting that the systems of hierarchy and elitism which “higher learning” holds at its foundation are damaging to all the communities that come into contact with them. I agree that the same old orders, values and institutions are not going to lead us down any new paths, especially not oppressed people. What I’ve been struggling with lately is, what does divergence from these systems look like? Boycotting private school, and most public schools for that matter? Learning and teaching in our own communities, apart from institutions we cannot control? What do you think resisting the same old same old looks like? I start with what I think it does Not look like: It does not look like a bunch of numbers that are purported to demonstrate legislated “equality”. My picture of “what resisting the same old same old looks like” involves constructing and then immediately desconstructing my conception of that picture. I think it looks a lot like life, a performance of art (or perhaps just a performance of life) that involves characters going through gyrations of joy and suffering, wellness and pain, happiness and sorrow, anger and compassion, sometimes in near simultaneity and still, somehow, continuing on together. It is a conversation with others held over the longue durée of one’s life span, with the true longue durée providing the conversation’s foundational backdrop. It is speaking and living out one’s own ‘truth’, being courageous enough to correct one’s errors when they are detected, and celebrating truth when one is ‘correct’. You bring up a very good point. I live in a pretty wealthy college town with multiple colleges and universities in the area. Even so, our community is very economically diverse, and it is remarkable to see the ways that the classed positions of the local schools (professors vs. cleaning staff for example) are played out in the larger community, and how the academic world actually shapes the social dynamics of the surrounding towns. Many, many elite and well-known schools are immediately surrounded by poor, working and brown communities–including Yale, countless schools in the North East, many HBCUs, and tons more–and I don’t think this is a coincidence. That being said, I think the most important thing to note are the ways in which academic institutions tend to reify race and class dynamics both within and outside of themselves, even as much of their internal work claims to be challenging those dynamics. Seattle University has an award winning strategy for interacting with their community, http://www.jesuit.org/2012/03/16/seattle-university-wins-presidential-higher-education-community-service-award/. This is an interesting article, and I think it is remarkable the kinds of resources that this school is putting into aiding the community in its midst. But what I think is still missing is why poverty persists in the surrounding community while a private learning institution maintains enough resources to spend millions on the kinds of community service projects it deems valuable. The types of “service learning” which are becoming popular in higher education across the board do little to question the separation and hierarchy inherent in the relationships between schools and their surround communities–in fact, they often reinforce it. I am less interested in community service which symbolizes and reestablishes the dependence of oppressed communities on highly endowed public/private bodies, and much more interested in what we as oppressed people can do ourselves to provide for our own communities, and directly challenge the systems which keep us under-resourced–systems in which higher education plays a major role. i’ve never left a message on blogs to people i don’t know before, but i just want to let you know how much i appreciate your thoughtful words in this post. your last paragraph brought me to tears. i have been a grad student for a few years now, and i have asked myself similar questions again and again every single day that went by. i still don’t have the answer after these years. and i’m always questioning myself if i’ve made the right decision to come to grad school. what i’m asked to do/perform here is so profoundly complicit with the forms of violence i myself want to critique in my research yet they are so central to the logic through which the university as a social institution is operated. at times i’m so disillusioned and feel like coming here and playing the game of meritocracy the academy prepares for qpoc makes me so co-opted cause i’m now forced to perpetuate the myth of model minority and racial uplift. sometimes i feel like investments in the academy from qpoc like myself are paralyzing to the radical movements of racial/economic/gender/queer justice in the communities that we want to fight for and that are so politically urgent. and when i try to question it the institution would use all kinds of ways to shame me into believing my doubts about academic works just indicate that i’m insecure and inadequate, that i may not be “cut out” for grad school. it’s really awful. thank you again for the post. reading your writing makes me feel hopeful just by knowing someone else out there is thinking through similar things. Thank you so much for stopping by to share your thoughts. I definitely feel your frustrations and stresses. I recently decided that I am going to go to grad school in the fall–though not the one I wrote about here–and I’m anxious about encountering many of the exact struggles you describe. I’m not sure that I’m making the right decision, though I do think I will go give it a try. For myself, I think there are innumerable institutions I participate in everyday that I hope will one day be toppled. I am trying to weigh which contradictions I am willing to live with on my way to joining in with other people like yourself in brining them down. I can also relate to how alienating and difficult it feels when you’re in an environment that you don’t feel cut out for, or are made to feel inadequate in. I think that is a feeling to hold onto. As queer people, brown people, and oppressed people of all kinds, none of these systems where made for us. I believe that the sense of inadequacy that systems of power often try to imbue us with is just a reminder of that fact. You may be in touch with that reality in ways that some of the other people around you are not. That feeling is not insecurity. In fact, I think it is where our most potent power comes from. Your words are very heartening for me as qpoc heading for grad school, though I also empathize with a lot of the hard things it sounds like you’re coming up against. Where do you go to school (if you feel comfortable sharing)? For you, where does the “model minority” stress come from?